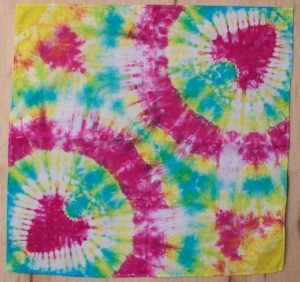 The Heart Tie Dye – a traditional favorite for all tie dye lovers! Now this design comes in a fun bandana. The heart is specially situated right on the outer edge so that when the bandana is folded diagonally it is easily displayed! 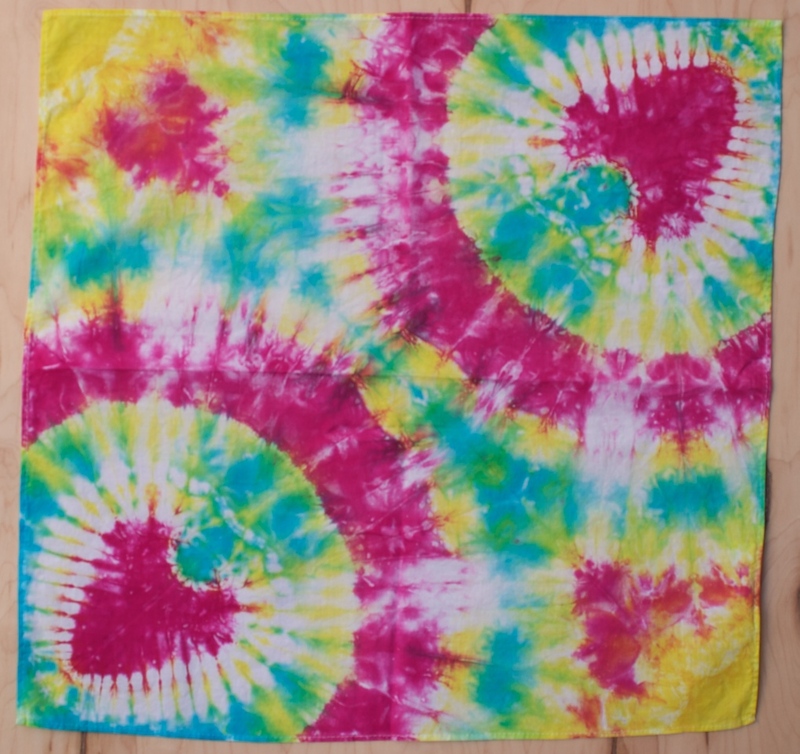 Makes a great bandana for your dog to wear around his neck…or great for the owner too! Fun, summery, and colorful…this bandana is a true classic!